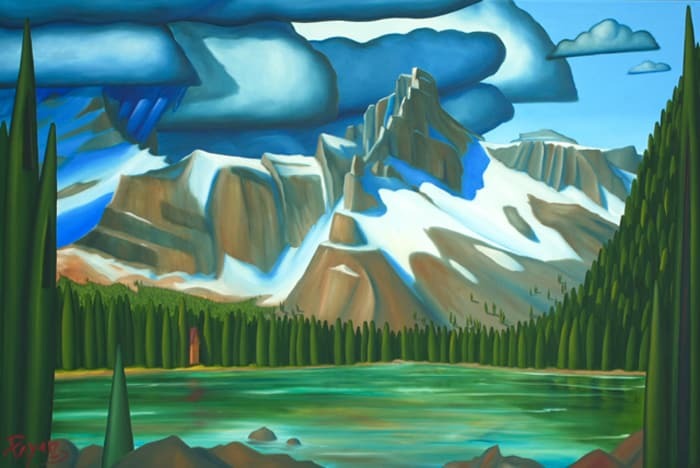 Through drawing on memory of place rather than photographic reference, Glenn Payan is able to craft wholly original visions of familiar landscapes, re-imagining them for their essential qualities. As a rock-climber and mountaineer in his 20’s he would spend time sketching out the peaks he planned to scale, mapping out the routes and rock holds as a form of documentation for other climbers. 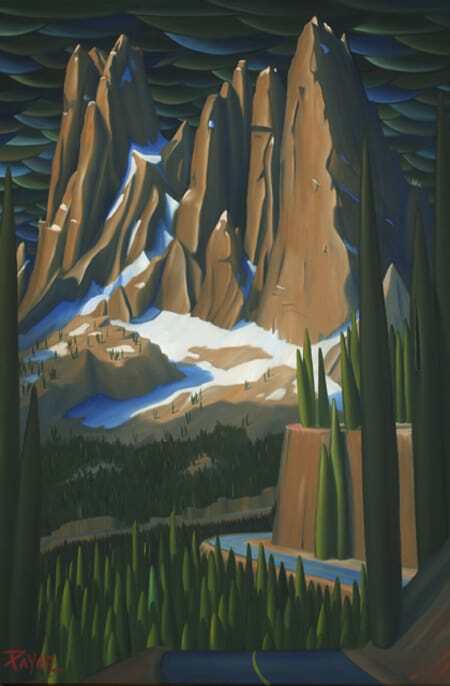 This indirect approach to art has led Payan to an established painting career, something he hadn’t set out to achieve but has since become the source of his passion, allowing him to remain close to the mountains without risking his neck. The insulated little worlds that Glenn creates are fascinating for their capacity to reduce and caricaturize our human existence into a cheerful brand of homogeneous modesty. 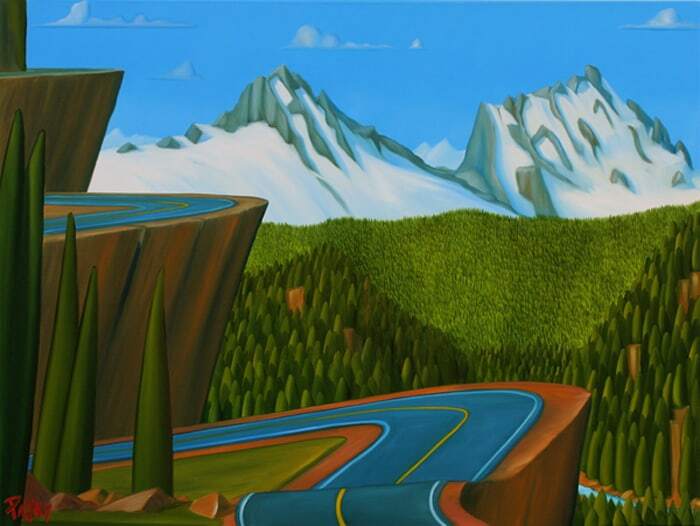 His paintings have an incredibly descriptive brand of surreal simplicity in which human presence is miniaturized – dwarfed by the majesty of a mountain in the distance and vastly outnumbered by the countless individually painted trees. 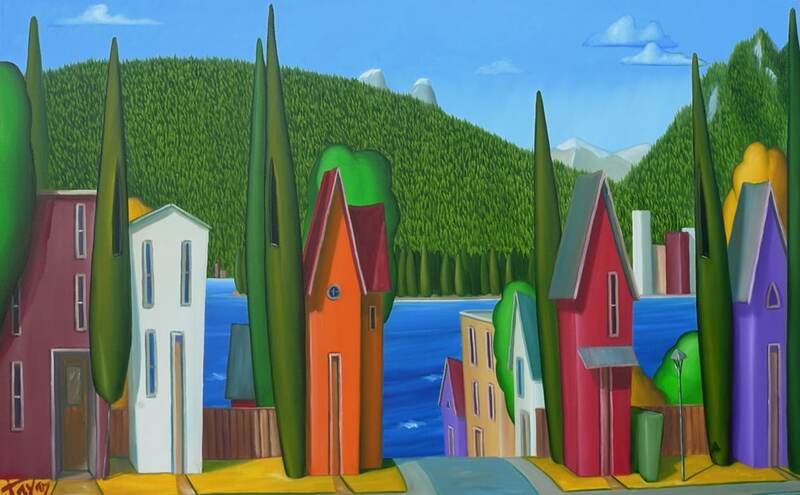 Filtered through memory and emotion, Payan’s examination of spatial elements that strongly resonated with him at times result in a sense of operatic grandeur through his ability to render vast panoramas in his own unique detail.